Diamondback 910Ic Indoor exercise bike has bright blue and yellow LCD display makes it easy to keep track of your workout with highly visible real-time feedback. A built-in water bottle and holder give you easy access during a workout along with a storage compartment for your iPod® or mp3 player. Multi-position handlebars- Multi-position handlebars let you use a variety of body positions while training to help work different muscle groups. Product Weight : 152 lbs. ToughTrain 3.5 out of 5 A much stronger product than 510Ic,available in just few extra dollars. *Note: Most of the sites, stores or shopping portals listed above sell Diamondback 910Ic Indoor Exercise Bike with discounts and other exciting offers. There is a possibility that the some of above websites are not selling Diamondback 910Ic Indoor Exercise Bike now. Toughtrain.com is not liable for such cases or instances. 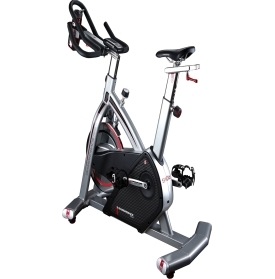 Also we do not recommend any seller for Diamondback 910Ic Indoor Exercise Bike and a buyer should buy from where he/she gets best deal with quality of products, service and on time delivery (shipment).